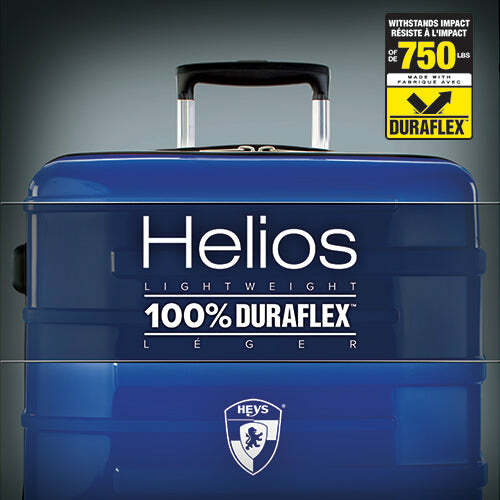 The Helios comes with a built in TSA™ lock that only allows certified TSA™ officials to open, inspect and re-lock your luggage if necessary. 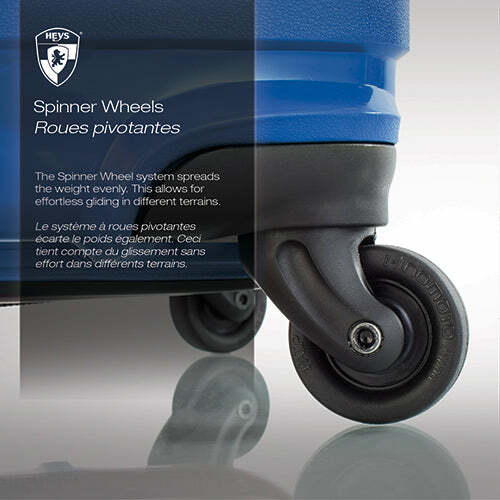 It utilizes Japanese made Hinomoto® spinner wheels which allow for such fluid motion that it will seem the luggage is gliding under its own power. 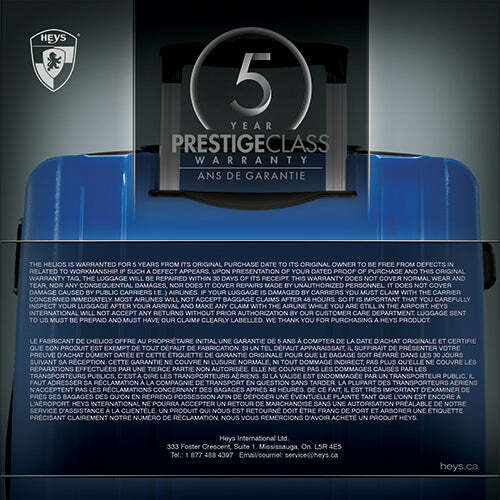 It has an internal push-button telescopic handle system with multi-stage locking heights. 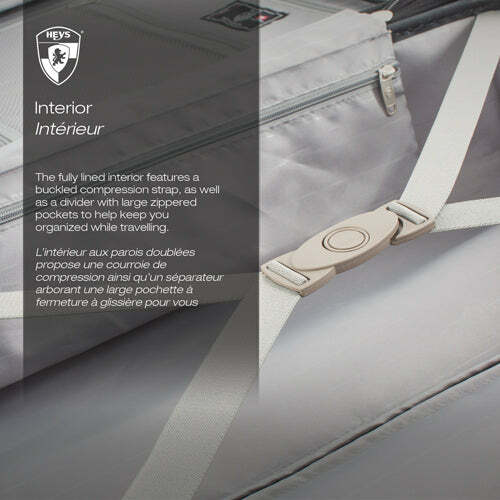 The interior comes fully lined with zippered pockets and dividers. 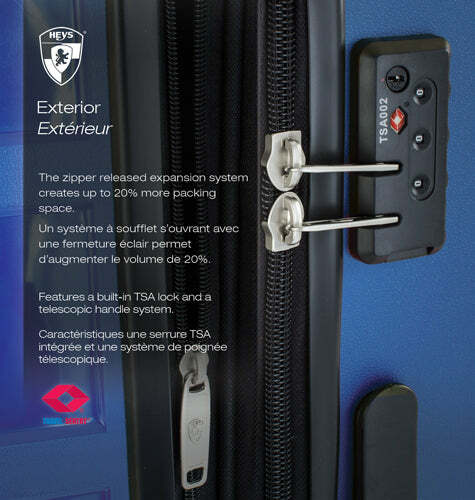 Its zipper released expansions system creates up to 20% more packing space. 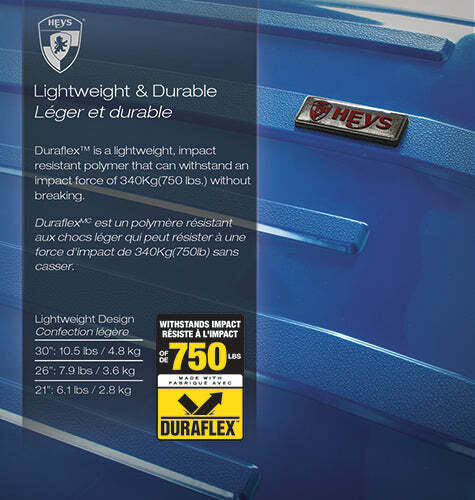 The Helios has a durable scuff-resistant, dual textured surface that offers incredible strength, durability, flexibility and lightweight properties altogether.